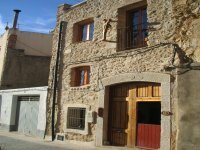 VILLAS AND APARTMENTS TO RENT IN PENISCOLA, SPAIN. Welcome to our selection of holiday homes to rent in Peniscola, Spain. North of the popular and highly developed Costa Blanca is the quieter and more Spanish Costa del Azahar, or the Orange Blossom Coast. Sun worshippers will be happy to see they have a number of different beaches to choose from, while those who prefer more active holidays are also well catered for in the surrounding area. The city itself is home to some interesting and famous historic attractions and is worth visiting if you are staying nearby. The town itself is probably most famous for the medieval castle on the headland, built on the site of an older Moorish fortress and used as the backdrop for many of the scenes in the famous film �El Cid�. The walls of the fortress still surround the old part of the town and visitors can enter through one of three gates, to get access to the winding cobbled streets of old Peniscola. There is even a beach below the old town, allowing you to sunbathe while you enjoy a view of the ancient castle; the North Beach is over five kilometres long so there is always plenty of space, even though it is one of the most popular spots in the area on summer weekends. The North Beach has a Blue Flag award for cleanliness and all the amenities you would expect, such as toilets, showers and a snack bar. Water sports enthusiasts can try out wind surfing, sailing and even sea kayaking from various centres along this stretch of sand too. If you enjoy water sports and other more extreme activities, there is plenty on offer in the surrounding area to keep you amused on a trip to Peniscola and the Costa del Azahar. There are lots of walking routes that take you through the Peniscola marsh on the outskirts of the town. This area is home to some rare species of fish � so no fishing is allowed! However, the marked trails will help you to explore all corners of this interesting and unique landscape. There are also marked hiking trails around Peniscola itself, including a steep climb up to the San Antoni Hermitage which has great views over the town and the coast. Longer walks, of varying difficulties, can also be found in the natural park of Sierra d'Irta, which also offers mountain biking trails and rock climbing. Walking round this mountainous landscape, you can also stumble upon the ruins of historic buildings, like the Hermitage and the Xivert Castle. 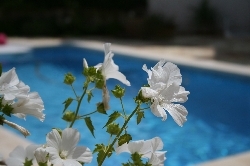 Looking for self catering holiday accommodation in Peniscola? Then below is a selection of apartments in Peniscola and villas in Peniscola that can be rented direct from their owners. You can either click on each listing for further details or you can use our search engine on the left if you are looking for something in particular.